One of the kenyan guys of marathon team will be replaced tomorrow morning by official announcement of AK. Moses Mosop will be out because injured.Still problems to same tendon gave him troubles in the weeks before winning ChicagoMarathon. Last year in Boston he run marathon in 2h03'06" and this spring he was third in Rotterdam in 2'05"03. A trouble for Kenya but the replacer will be surely a great athlete that day in the Olympics. Difficult to tell which guy will be in the team now...unofficial rumors not confirmed at the moment tell us about one of the Mutai....which one? ?Geoffrey or Emmanuel?? tomorrow we will know the truth..
AK this morning has made official announcement about replacing Moses Mosop for injury with Emmanuel Mutai and Stanley Biwott named as the reserve.My yesterday sources were trusted and sure...but only unofficial so impossible for me to make also the name for the new guy in. My personal best wishes for a very fast recovery to Moses Mosop:i haven't still forgot his incredible race in last ChicagoMarathon. 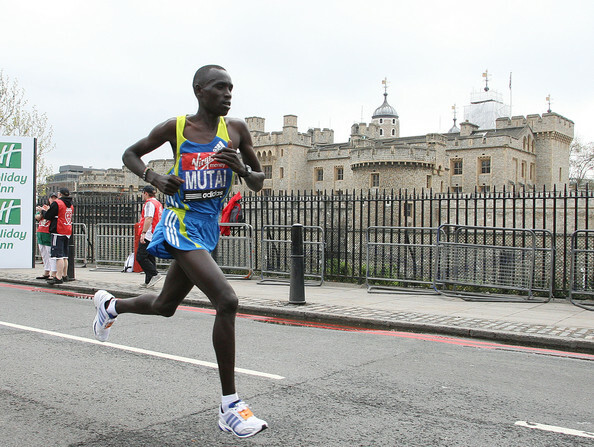 Personal congrats to Emmanuel Mutai for being inside the team!! I have contacted Emmanuel Mutai to have his first opinion about this great news for him..
"I am so sorry for Moses Mosop but extremely happy for the faith Athletics Kenya puts in me and the opportunity i will get to run at the Olympics.In 2008 my level was not good enough yet to represent Kenya in the biggest race in the World and in 2016 there might be a whole generation dominating the scene. So my eyes were always set on 2012 and I was really disappointed I ran my worst race in years when it mattered. Even I knew it was related to the typhoid I had back in March. I am fit now and started training early May to be ready for anything”.